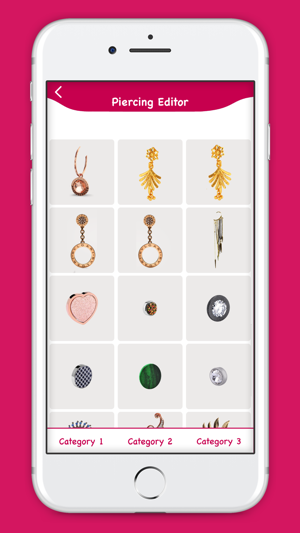 Our editing tool contains a lot of artistic piercing ideas for both girls and boys (facial, nose earrings, ear or lips earrings and much more!). This photo editor also allows you to create your own work of art and also allow you to save and share them through social media. Keep it simple, clean and awesome look for your photo, and make them as attractive as you could since it can be the most viral picture or a photo that can be famous. 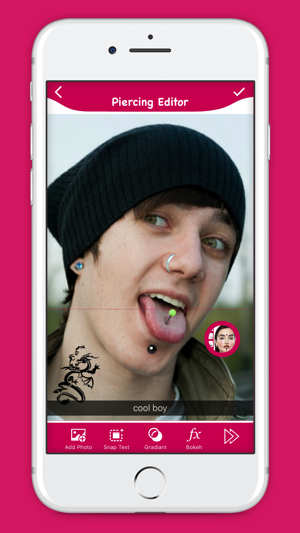 Embellish and decorate your selfie pics with the works of piercing art and start a photo editing adventure right now! 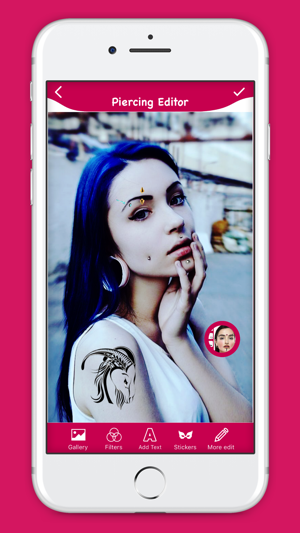 Beauty Piercing Photo Editor is a photo editor application to create a nice piercing tattoo and also looks like real. 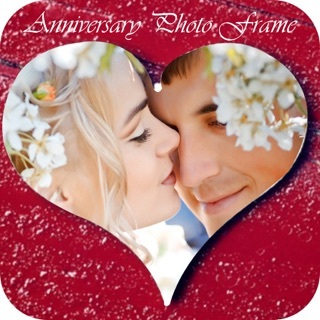 - Adjust and montage your photo on your selected frame. - Zoom in, Zoom out, Scale your photo. 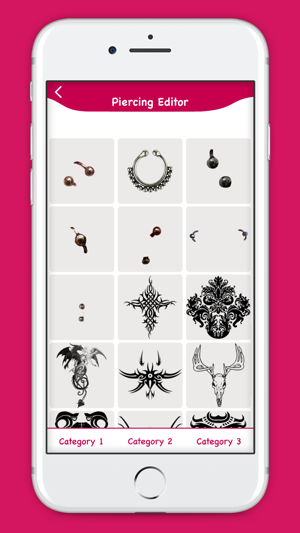 - More than 100 Piercing / Tattoo available in offline. - Change the size according to your Face shape. 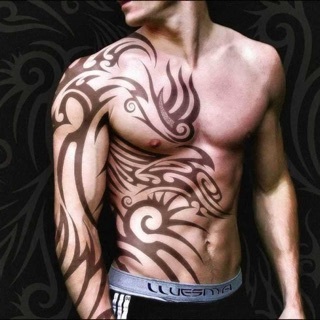 - Realistic Piercing , Tattoo Sticker. 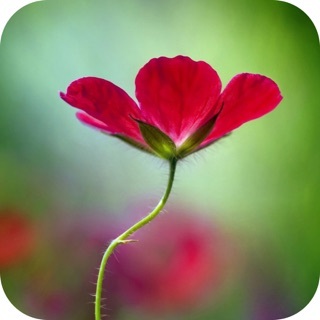 - 25+ New Photo Filter Available. - 70+ of backgrounds and fun stickers for photo editor. 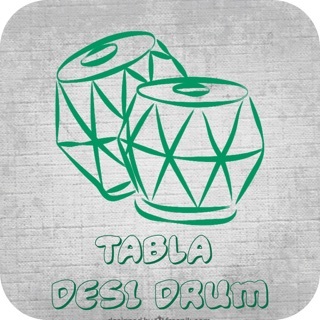 - Easy to add text and stickers. - Also add snap text and emoji. - Other New photo editor tools available. 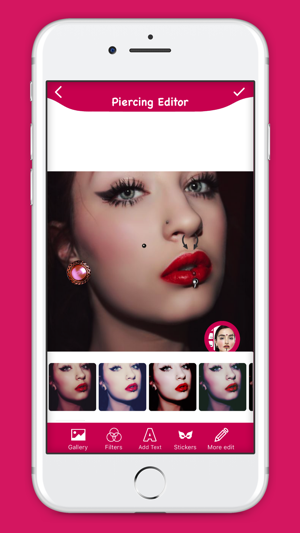 Share your virtual makeover with all your friends via email, Facebook Twitter or Instagram.